Now that June is more than half way over, real estate analysts from around the United States look forward to reading the annual study assembled by the Joint Center For Housing Studies of Harvard University. Each year Harvard publishes "The State of the Nation's Housing" and this year looks very similar to last year's report (The State of the Nation's Housing 2009). You have found the 2010 State of the Nation's Housing Report. 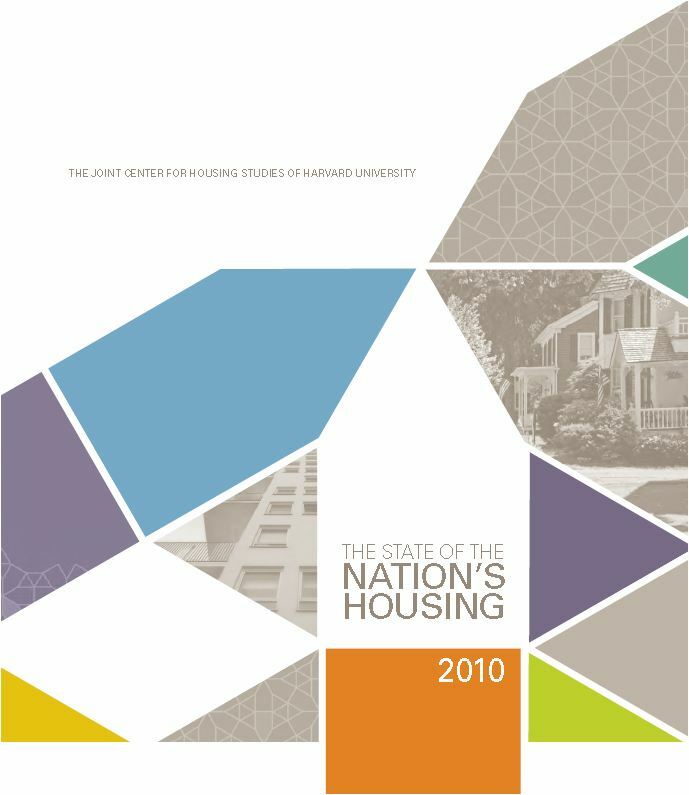 The 2011 State of the Nation's Housing Report has been published now and can be found at this link. With roughly 40 solid pages of reporting on the national housing market, the Harvard University study (click here to download The State of the Nation's Housing 2010) seems to affirm that our observations from the Tallahassee real estate market are very consistent with what is happening in local real estate markets around the country. Even as the worst housing market correction in more than 60 years appeared to turn a corner in 2009, the fallout from sharply lower home prices and high unemployment continued. By year’s end, about one in seven homeowners owed more on their mortgages than their homes were worth, seriously delinquent loans were at record highs, and foreclosures exceeded two million. Meanwhile, the share of households spending more than half their incomes on housing was poised to reach new heights as incomes slid. The strength of job growth is now key to how quickly loan distress subsides and how fully housing markets recover. The report suggests that the full recovery will be heavily influenced by the creation of jobs and the reduction of households with severe housing cost burdens (low income versus rising costs of maintaining a household). With roughly 10% of Americans unemployed at this time, the report also points out that "most economists predict that it will take years to catch up and that unemployment will remain relatively high for an extended period." I felt that the Harvard housing study skirted around the issue of the shadow inventory and the current high level of supply of homes for sale nationwide. With all of the wonderful source material included in the report, I would have liked to see a focus on the amount of inventory with which our national housing market must consume. Supply levels are high and the study accurately reports a continued drop in home values, but at the same time predicts a need for new construction. I would love to see this as a reality, I just don't understand the great divide between having too many homes for sale or rent and the need to build more. For anybody who has a real thirst for more information on the national housing market, we have included links to download both this year's as well as last years "State of the Nation's Housing Market."